A serial killer murdered three homeless women before non-profit organizations and the Seattle's government began regulating the homeless encampment that they named Tent City. With a formal name came two formal sets of rules: an internal code of conduct and a consent decree with the Seattle's government. The city of Seattle only enforces the consent decree; it doesn't make sure that residents follow the conduct code. But if residents break the code of conduct, they may be barred from the city by other residents. 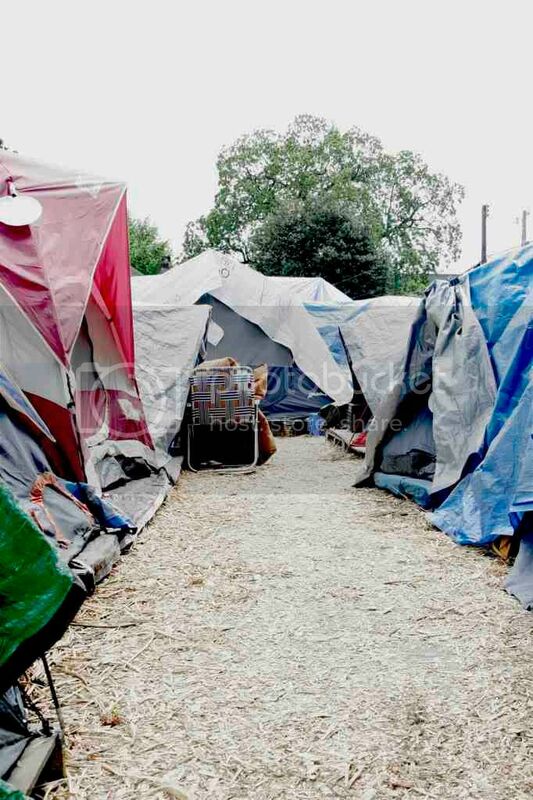 “[Tent City residents] enforce the rules in the code of conduct; and they enforce them very strictly,” said a staff person from Seattle Housing and Resource Effort (SHARE) who has been working there for several years but didn’t want his name to be published. Campers take turns acting as guards to ensure that rule-breakers are forced to leave. For minor offenses, like missing a camp chore, residents can be banned for several days. But for breaking more serious rules, like the sobriety requirement, campers can be permanently evicted from Tent City. “There have—unfortunately—been a very big number of permanent bars [from Tent City],” said Donald Vincent, a guard who is supposed to make sure that barred residents stay out of the encampment. However, former residents who have been permanently banned, can be readmitted into camp if they have undergone rehabilitation, or if an internal bar committee decides to let them back in out of “mercy” Vincent said. Short bars sentences for breaking minor last from one to three days. But, Tent City’s consent decree with the city doesn’t include that threat. The City of Seattle can close Tent City 3 for breaking different rules—like not letting the health department unexpectedly inspect the camp. But the Code of Conduct is only enforceable by Tent City residents. The previously quoted staff person from SHARE said that this was a good thing for Tent City residents. “You don’t want to be putting 100 people back on the street,” he said.